Well, it’s been a year since my first class at the BCAE and I can honestly say, I think I’ve become addicted to learning...and I don’t think that’s a bad thing. What started off as taking a quick 3 hour introductory course, has become hours upon hours of learning; from new recipes to drawing body shapes to learning the ins and outs of everything Google has to offer, the BCAE has a class for everyone to learn and try something new. Within this past year, I’ve taken over 20 classes and I wanted to share the top 5 classes/teachers that I found to be my favorite/most valuable. 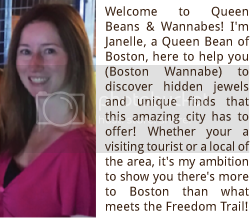 New Year’s 2013 came by and one of my goals, (I don’t like the work resolution, goals sounds more positive), for the year was to begin to write a blog about different events and places I attend and visit throughout Boston. I had been reading blogs for a while and even had begun to write one myself, only to stop writing and forgetting about it 3 months later, so I wanted to attend a class on how to start and maintain your own blog. 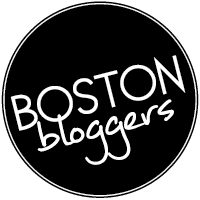 After doing some Google research, I found a site for the Boston Center for Adult Education and there I found classes called “Staring a Blog” & “Promoting your Blog”. Now, I’ll be the first to admit, the idea of going to some ‘center for adult education’ didn’t sound very appealing, especially the way I thought. In my mind, I was picturing a school type atmosphere with chalkboards and those really unconformable chair desks you had to sit in, in high school. I decide to give it a shot anyways and signed up for the blogging classes- besides, the price was very right and the class time was about 2 hours, I didn’t have that much to lose. As soon as I found the BCAE, my mind took back everything it had once thought; this place defiantly wasn’t your grandmother’s learning annex. The second I walked in, I was pleasantly surprised by the look and feel of the atmosphere, everything was very up kept and new and after being greeting by a friendly front desk worker who showed me to my class, I was even more surprised to see 2 state of the art kitchens, an area that looked like dance/exercise floor and even a music room. This was defiantly a great first impression of a place that I would soon be spending a lot of my time at and learning things I probably never would have it not been for my first class at the BCAE. The first classes I’ve taken at the BCAE really helped me not only get a sense of what BCAE was all about, but also to really help get my idea of writing a blog off the ground. Taught by Sue and Chelsea of We Are Not Martha, a cooking blog, (another good tip, the teachers are just people off the street, they are actual professionals who really know what they’re talking about), the class went over from explaining what a blog actually is, where to write and host your blog and what to write on your first blog post. Their second class ‘Promoting Your Blog’ focused more on where your should be promoting your blog online, attending different bloggers networking events and even how to make potential business partners to blog about their product/services and maybe even make money on the side. I’m very happy to say, that although it’s not perfect, I’ve been keeping up with my blogging for almost a year! There are some things that are harder in life than others and for me one of those things is cooking/baking/anything that is done in the kitchen. It’s not that I hate cooking; I just have no idea what I’m doing or what half the ingredients/instructions even mean on a recipe. Enter Diane Manteca, cooking extraordinaire. Diane has been teaching at the BCAE for 20 years and I’m sure that every dish she’s made there has been nothing but unbelievably delicious. I’ve taken a few cooking different cooking classes with her but her specialty is Italian cooking. (Tip, everything tastes and cooks better with wine!). In 3 hours, you’ll go from hungry and not knowing the difference between a tomato and pepper, to being completely stuffed with delicious food and knowing every type of spice actually is and tastes like in your spice rack. P.S- when taking Diane’s class…always bring Tupperware, you’ll have leftovers for a few days. Another key to having a good blog is having good pictures. I got a beautiful camera for Christmas a while back but besides taking it out of the box once or twice, I really didn’t know how to use it to its fullest potential, which when I saw “How to Figure Out Your Digital Camera”, I immediately signed right up. Chris Padgett was the instructor for not only this class but just about all the other digital photography classes at the BCAE and there is a very good reason why- he’s absolutely gifted at what he does. He was extremely helpful in leading the class on how to use everyone’s different digital cameras including mine (Nikon 1, not you ‘professional’ camera but still digital), as well as, how to use the focus lens and which ISO (light sensitivity) to use for which shots. He also showed us how to take better photos by choosing one focus point and using your camera in different angles. Recently, Chris created a photo shoot called “Bled for Boston”, photos of people who got tattoos done right after the Boston Marathon Tragedy, which is about to be displayed at the BCAE in the coming weeks. My first class with Dustin was rather interesting to say the least. My first class with Dustin called ‘Harvest Cupcakes’ was a delectably delicious take on baking cupcakes with all the ingredients of autumn. With dozens of cupcakes baked, I took about 10 cupcakes with me, only problem was, I wasn’t going home, I was going to the ALCS Game 1 of the Red Sox game. Squished on the T, I made to Fenway Park to meet my friend, cupcakes still in tow and we made to our cheap seats for the game. During the game, we spotted a few seats right behind 3rd base up for grabs; so we went down to snag them. On our way down however, people started noticing my cupcakes and asking to purchase them. At first I decided, but the more I decided, the more people wanted these cupcakes. Finally, I gave in and stared to give away my cupcakes- the sad news of the story was that I sold all my cupcakes before I could even try one, the good news, I made $10. Morale of the story, Dustin knows baking and he knows cupcakes. His cupcake classes are some of the most popular in the baking series, especially his ‘Cupcakes & Cocktails’ classes, 3 hours of cocktails and cupcakes…and more cocktails and cupcakes. If you can’t make his class, then check out his bakeshop Bad Bay Bake Shop in Charlestown. Like I had mentioned earlier, the BCAE offers many different types of classes from cooking to dancing to music and everything else in between which is great because it gives you the excuse to try everything at least once and learn something new. That’s where Ingenious Solutions Series comes in, a 3 series course focusing on Search Engine Optimization (SEO), Content Marketing Systems (CMS) and the free services that Google offers (other than Gmail). I wanted to take this series to better understand SEO and CMS for my career, as well as, my blogging. Ben Vivante was a great instructor, going through each subject slowly and in a way that everyone could understand how to promote our product/service/company on Google, creating a first time website using Joomla or Word Press, and better knowledge of Google Analytics, Drives, Calendar, and Google +. This class really got me interested in learning more about SEO and creating a better site for my blog, and now I feel confident in that I can create a more successful and searchable website. 6. What’s Next on the List? So, that was just a few of the classes I’ve taken and my experience at the BCAE, and that doesn’t include their special events from lunch with Big Papi to Local Love Pop-up Shops, my only question to myself is, “what’s next on the list”? With new classes being offered in every catalog, I’m always excited to see what’s available. If I had to choose a couple of classes to try out, I think I would like to try a basic sewing class, (which would be really funny to watch me actually try to sew), more photography classes but above all, the classes I’d really like to attend…wine tastings of course! Have you thought about trying or learning something new at the BCAE? Let me know what you thought, I’d love to hear about it! Hey, you never know, maybe I’ll see you at your next class!